While they may not say it out loud, many people feel like they don’t have time for leadership development. This mentality underscores a fundamental misunderstanding that training leaders always necessitates long hours of teaching and instruction. Each day there are golden opportunities all around us we that can leverage as teachable moments. But if we’re not looking for them we may totally miss them. 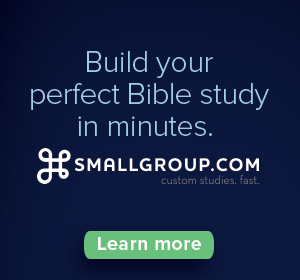 They come in the form of a conversation in the hallway, someone popping into your office to ask a quick question or a casual conversation in the middle of a ministry event. These “teachable moments” can take place every day if we simply take the time to look for them. When someone walks into your office frustrated because they can’t seem to complete an important project, their frustration has created the perfect soil to plant a leadership principle. Now all you have to do is speak into that moment. One small principle given at the right time can sink into their thinking and stay forever. I will never forget the time I was overwhelmed striving to fulfill a portion of the vision God had given me for my ministry. One of my key leaders sat me down and said, “Mac, if it were easy to be great, everyone would be doing it.” That simple phrase radically transformed my perspective and gave me the leadership fortitude to push forward despite the challenges and opposition. That phrase comes back to me anytime I’m feeling defeated, and it pushes me forward. A simple principle, idea, or concept spoken at the right moment can give your trainee a totally new perspective and change the way they lead. Here’s a simple formulate for maximizing on these types of leadership development golden opportunities. Listen closely to their frustration or challenge. Ask questions to get greater understanding of why they’re frustrated and solutions they’ve already tried. Ask them what options they feel they have to overcome their challenge. Affirm what they’re doing right. Share insights from your leadership experience that will add value to their leadership skill. Ask them what leadership lesson they’re learning. Have them write down the key next steps that will help them put into practice what they’re learning. 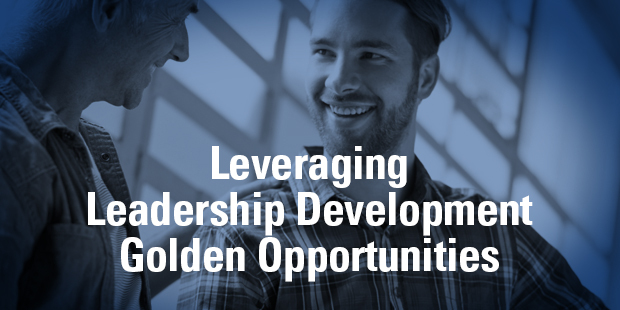 Look for some golden leadership development opportunities this week, you may be surprised by how many you will find. > Read more from Mac.